Barbara C. O'Shaughnessy is Florida Registered Paralegal with over 30 years of extensive experience working in the commercial real estate field in Florida, including condominium development, construction, loans, and, purchase and sale transactions. She is proficient in all areas of commercial real estate transactions, including review of contracts, creating critical date timelines, preparation of closing and loan documents (including closing statements), ordering and review of due diligence materials (including municipal lien searches), title and survey review, e-recording, disbursement of closing proceeds, and issuance of title insurance policies. Barbara is a highly recognized member of her local paralegal association, the Tampa Bay Paralegal Association (TBPA). She has held all positions on the Board of Directors of TBPA and is currently the President-Elect and will move into the Presidency beginning in December 2018 for a term that may be extended through November 2022. Barbara is actively involved with all of TBPA's committees, specifically its Seminar, Pro Bono and Community Service committees, whose projects include coordinating its Annual Seminar, Wills for Heroes, PACE Center for Girls, End 68 Hours of Hunger, and the USO-Central Florida. As a leader within TBPA, Barbara has served as both the Primary and Secondary Delegate for TBPA at several Annual Conventions held by the National Federation of Paralegal Associations (NFPA). From 2015-2016, Barbara was also the Region III Director on the Board of Directors for NFPA. 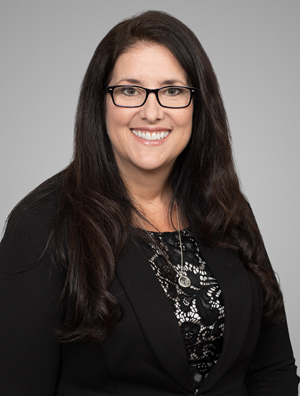 As a long-standing paralegal in title industry in Tampa, in 2013, Barbara was offered and accepted a role on the Paralegal Advisory Council of Attorney's Title Fund Services, and continues to participate in quarterly meetings related to topics of interest affecting the real estate and title industry.